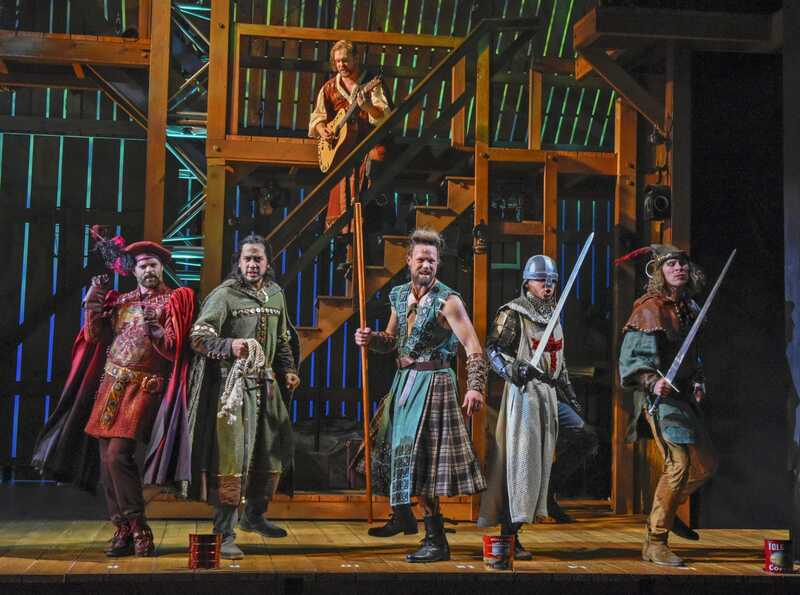 Prepare to make merry with Robin Hood and his merry men with “Hood: The Robin Hood Musical Adventure” June 29-August 6. The new musical comedy will have its world premiere at the Wyly Theatre, presented by Dallas Theater Center. Written and directed by Dallas native and Tony-nominated playwright Douglas Carter Beane, with music and lyrics by Lewis Flinn, “Hood” starts previews with pay-what-you-can performances at 7:30 p.m. Thursday, June 29. Opening night will be Friday, July 7 at 8 p.m. Tickets are on sale now by calling 214-880-0202 or online at DallasTheaterCenter.org. Beane joins with Flinn, his collaborator from DTC’s popular production “Give it Up,” later re-named “Lysistrata Jones” for its Broadway run. The duo return to bring a twist on the legend of Robin Hood to show audiences what makes a hero. Nick Bailey will play Robin Hood alongside Broadway stars Alysha Umphress (Broadway’s On the Town) as Meg and Ashley Park (Broadway’s Sunday in the Park with George) as Marian. Completing the cast is Diane and Hal Brierley Resident Acting Company member Tiana Kaye Johnson as Lady Jane; Billie Aken-Tyers as Much; Ricco Fajardo as Gamble Gold; Ian Ferguson as Alan A’Dale; Austin Scott as Sheriff of Nottingham; Beth Lipton as Lady Anne; Luke Longacre as Little John; Chris Ramirez as Friar Tuck and Jacob ben Widmar as Will Scarlett. The creative team includes set design by Tony Award-winner John Lee Beatty, costume design by Gregory Gale, sound design by Tony Award-winner John Shivers, lighting design by Philip Rosenberg, choreography by Joseph Pizzi and Robert Bianca, music direction and supervision by Brad Simmons, wig design by Tom Watson and puppet design by James Ortiz and Stefano Brancato. DTC’s Come Early, a pre-show lecture about the play, will take place one hour before every performance. DTC’s Stay Late sponsored by Wells Fargo, a post-show discussion led by a member of the cast, will take place after each performance.